Though venom has already been used to create drugs, the chemicals in it are often too deadly for human consumption. But a new study found snakes and lizards have "reclaimed" some toxins and used them, safely, elsewhere in their own bodies, and scientists think it could be used to make safe and effective drugs. The researchers said it was an "unexpectedly dynamic" process, with chemicals in venom being formed through evolution and then later being adopted by parts of the body for other uses. "Our results demonstrate that the evolution of venoms is a really complex process," the BBC quoted Dr Nicholas Casewell, from Liverpool School of Tropical Medicine, as saying. He said venom seemed to evolve a lot of new functions, possibly to overcome resistance in prey. "The venom gland of snakes appears to be a melting pot for evolving new functions for molecules, some of which are retained in venom for killing prey, while others go on to serve new functions in other tissues in the body," he said. 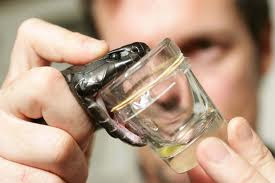 Dr Wolfgang Wuster, from Bangor University, added: "Many snake venom toxins target the same physiological pathways that doctors would like to target to treat a variety of medical conditions." The cardiovascular system, heart and blood vessels, is one of the main targets of snake venom when attacking prey and it has played a role in the origins of some blood pressure drugs such as ACE inhibitors. The nervous system is another similar area. But the challenge for the scientist to use it as drugs has been to overcome the toxic effect of the toxins. "This means that drug developers have had to modify toxins to retain their potency and make them safe for drug use," said Dr Casewell. Now, the scientists involved in the study believe nature may have already done the hard work, with reptiles making the toxins safe for their own use.